23 July 2012, Shenzhen, China – ZTE Corporation (“ZTE”) (H share stock code: 0763.HK / A share stock code: 000063.SZ), a publicly-listed global provider of telecommunications equipment and mobile devices, has launched its first Android 4.1 (Jelly Bean) handset in China just one week after the release of the official version of the mobile device operating system. 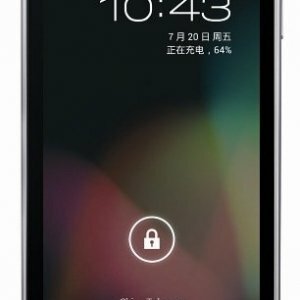 The ZTE N880E smartphone runs the Google Experience version of Jelly Bean and is the first Android 4.1 smart phone launched in China and the third in the world. Other ZTE handsets will be launched soon with Android 4.1. The ZTE N880E smart phone has a 4.0-inch capacitive WVGA touchscreen, with a 1GHz Qualcomm 7627A processor, 4GB of memory and a 3.2MP AF camera. It is an ultra-slim device with just 10.4mm in thickness. The ZTE N880E was originally launched in May 2012 running Android 2.3 and has already sold more than one million units. Version 4.1 of the Android mobile device operating system was released on July 13 and offers improved performance and responsiveness, with new features such as expandable notifications and Google Now.